Alex J. Cavanaugh: The Ninja Returns, Ninja News, Book Release & Giveaway from CM Brown, Cover Reveal of The Magic Wakes, Movie Review, and From Where Do You Hail? The Ninja Returns, Ninja News, Book Release & Giveaway from CM Brown, Cover Reveal of The Magic Wakes, Movie Review, and From Where Do You Hail? Thanks to everyone who visited Lee for my Sharktopus: A Love Story. Hope it gave you a chuckle. 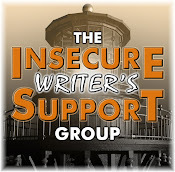 Don’t forget this Wednesday is the monthly posting for the Insecure Writer’s Support Group! Brinda Berry posted the cover art for The Wild at Heart Anthologies, Vol. 1 and Vol. 2. This project which will benefit the Turpentine Creek Wildlife Refuge (TCWR) in Arkansas. Go check out the covers, both of which feature tigers, at Brinda’s site. And tell her congratulations, as she has a story in Volume 2! Sean McLachlan’s next book from Osprey Publishing, The Last Ride of the James-Younger Gang: Jesse James and the Northfield Raid 1876, comes out October 23. Illustrated with period photos and color artwork, it is available for preorder now. Congratulations, Sean! The third book in Michael Abayomi’s fantasy series, Guardians & The Lost Paradise, came out last week – The Gathering. Congratulations, Michael! Roland Yeomans is hosting a Trick or Treat Ghost of a Chance contest! Stop by his site for details. Major points if you can score him a date with Olivia Wilde. Anne R. Allen’s blog (with posts from Ruth Harris as well) was named one of the Top 50 Blogs for Writers by Tribal Messenger Daily. Posting every Sunday, Anne and Ruth offer awesome tips and advice for authors and writers. Congratulations, ladies! The hosts of the A to Z Blog are looking for guest posts! Visit our blog for details. I’m still doing Special Challenge Participant Features every other Wednesday, so let me know if you’re interested in an interview as well. New Book Release and Giveaway! For the next two weeks Carolyn is holding a Rafflecopter Draw on her Blog, to celebrate the release of Book Two in the Protector Series, He Came For Mine, and one full year of Blogging! 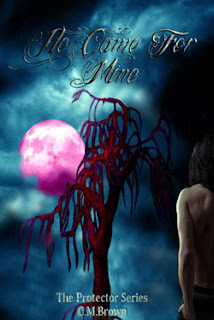 One free eBook of Book Two in The Protector Series, He Came For Mine! Also, during the two week launch, Book One, in The Protector Series, He Came For Me, will be free as an eBook on Smashwords. Just use the code RF83E. Find Charity and her upcoming book at: Blog, Website, Facebook, Goodreads, and Twitter. From Indonesia, this film has the same concept as Dredd – cops trapped in high-rise apartment building by drug lord. The similarities end there, though. The difference is in style, plot, and execution. Set in modern-day Jakarta, this one focuses on stick and knife fighting, with more twists and surprises. Its relentless action will leave you breathless. I enjoyed Dredd, but overall, this is a better film. I know there is a large concentration of writers and authors who hail from Utah. While it might appear to be the writing mecca of the world, I know there are writers and authors from all over the world. (I can think of at least a dozen I could get to in six-seven hours, including Matthew, Elizabeth, Diane, Ella, Sheila, and Rusty.) So, sound off! Name your state if in the USA or country. Did I miss anything else while on vacation? Ready for the IWSG on Wednesday? Excited about the new releases and contests? Seen The Raid Redemption? And from where do you hail? I give The Raid instant classic status. You cannot deny it's awesomess (because if you try it will beat the crap out of you). A-Z Challenge looks like it was interesting - assume this runs every year? Yep, we missed you. Welcome back - and wow, you had a lot to come back with, didn't you? Thanks for the shout out about my book! I'm originally from Toronto, Canada, and now live in Santander on the north coast of Spain. For about three months of the year I live in Oxford, England, and I travel for much of the rest of the year. I don't live anywhere full time! I like the sound of The Raid Redemption... will have to check it out. Watched Looper this weekend... really liked the concept and ending... can't wait to see what you thought of it. Hope you enjoyed your vacation Alex! Thanks so much for the shout out, it is greatly appreciated. Congrats to Brinda, Sean, Michael and Charity on their Book and Cover Art releases and to Anne for receiving her Top 50 Award! PS I hail from Australia! Happy to hear your vacation was great. Congrats to everyone with new books, cover reveals, etc. *Hides head back in bucket*. Do you have a vacation hangover? I find I sometimes have those when I get back to work after time off. Woot! Lots of news, congrats on CM Brown's new book. I'm from North Carolina (at least for now;). I love it here and don't ever want to move, but if hubby goes, I will too. Glad you're using your vacation time, Alex. You definitely don't want to lose it! I'm from NC. :) I think there are a few of us here! Vik, next year will be its fourth year. Hope you can join us. T. Drecker, yes - so much! Sean, but where you do live is awesome. And you're welcome. TF, I will let you know Wednesday. Carolyn, you are most welcome! Charity, guess there are a few of us here then! Glad you had a good vacation. Definitely use it and don't lose it. Wow! Lots of great news. Congrats to everyone. And I'm from Michigan. Alex, welcome back... I am standing right behind you. You may ask yourself where that is, I say anywhere you are. muhaha! Ready for the IWSG on Wednesday? Excited about the new releases and contests? You bet! Congrats all around! And from where do you hail? Houston, Texas - born and raised. Yes Alex you were missed but one needs a break now and then. Welcome back and don't work too hard. I DID think everyone else was from Utah. I'm so happy to know it's an illusion. Thanks so much for the shoutout. You, of course, rock. Congrats to Sean, Michael, Roland, Anne, Carolyn, and Charity. That's all great!! Am I the only one from Arkansas? No. DL Hammons is my hometown writer friend. Alex, Dredd has the same concept as The Raid, not the other way around. :) I was literally blown away by the film's intensity and frenetic action scenes. It was creatively-shot, hugely entertaining, merciless and pretty much perfect. I gave it a perfect 10, and it's still my favorite movie of 2012 so far. Just brilliant! I'm in Northern New England. And I look at your movie reviews just to see what's out! We have a hard time finding movies anymore we even want to watch. Jeremy, there's nine Puppet Masters movies??? Melissa, what about a cowboy hat? Brinda, you're welcome, and yes, DL is from Arkansas. Jamie, you would dig it. Wow! Cool to see Sean is from Toronto (Trawna) and now is much cosier and warmer in Spain! Me? I'm still here in Bracebridge, Ontario, Canada where the fall colours are just starting to get gorgeous and winter is hanging on the horizon. I've heard tons of great things about The Raid Redemption. I actually have it, but I haven't made it around to watching it yet. I only recently made the realization that the plot of the Dredd movie sounded like a similar concept (still haven't made it out to that one either). Interesting! I'm from Florida, by the way! The cover for The Magic Wakes is stunning. I love the premise as well. I'm from Devon, United Kingdom. The writing mecca in the UK seems to be Bournemouth. Of course we missed you! Hope you had a great time. The ninja army is sooo talented! Congrats to everyone. Originally I'm from Michigan, but have lived in Pennsylvania, Vermont, New Hampshire, Connecticut, California and now Ohio. Wow! So many great things happening in the writer's world! About IWSG, gosh, where do I begin? I promise to keep it brief. Born in Chicago, but moved to Texas when I was two. Been here ever since. Got the hat, boots, horses (sold the cows), chickens, and farmland to go along with it. No, I don't own an oil well. I wish. Welcome back! Congrats to C.M., Brinda, Sean, Michael on the book launches...whew! Lots going on here. I'm born and raised Californian but living in Florida at the moment. That is a lot of news. Originally from Oregon, now living in N. Carolina. BTW, I need to retract a previous comment. I saw Wrath of the Titans this weekend - worst movie ever. I'm from Brazil, but I live in Connecticut. Hope you had a nice vacation. Gee, I have to get something ready for insecure Wednesday. I'm from Colorado but have lived in two other states. Thanks for all the great links. Looking forward to Wednesday. Wow, lots happening this week! Thanks for the info. Since you asked...I was born in Lancaster, PA, grew up near Cape May, NJ, and moved to north central KY 8 years ago. How about you? Have you always lived where you are now? OH my word, that was a packed post. Awesome things happening in the writing world. LOVE IT! I will definitely make a point not to forget this IWSG! wow - The Magic Wakes is an awesome cover! Congrats to Charity! Welcome back from the vacation. With the fall season here and the leaves changing now is a nice time for getting away. Glad you are back! George, sorry I missed your comment earlier. I just meant they were the same idea, not that Dredd had it first. And will check out your review. Cathy, wish I was there! JW, watch Raid Redemption first. Laura, one coast to the other! Madeline, the bloody ick was the best part. Tonja, I can send you to movies far worse than that! And quite a few people have said Ohio this morning. Karen, I'm a military brat - I've lived in numerous states and foreign countries. Lynn, be proud of your twang! I wondered why Texas seems so empty...they're all in Utah! And congrats to Anne R. Allen - well deserving of the award. Originally from Arkansas, but now live in Louisiana, southern part. Sounds like The Raid is a movie I would love. I will check it out. There's been some interesting articles as to why there's so many speculative fiction authors that hail from Utah. I'm in St. Louis, Missouri (smack dab in the middle). yay for ALL the news! I'm in Albuquerque, New Mexico. Thanks for the reminder about ISWSG - I would have completely blanked that out. Welcome back. Lots going on here, as usual. I'd be interested in doing an interview! Still haven't seen Dredd, or The Raid for that matter. But I've heard nothing but good things about both movies. Can't wait to read your Looper review on Wednesday. And thanks, for the shout out, Alex. I forgot to mention where I live--Arlington, Massachusetts! Welcome back! Glad you had a nice vacation. Wow - lots of ninja news. Great things happening out there. From where to I hail? Cincinnati, Ohio. Yes - Utah does seem to have a lot of writers! Well I am from Canada, but I'm not a writer, although I blog regularly. In fact I had got the impression that there were a large bunch of writers who hail from Australia. I have read many of their books and enjoyed them all. I'm in Georgia! Most of the writers/bloggers I meet online are either up north or out west though I can think of 2 who are here with me in the Peach State! Holy crapola! That's a lot of news and congrats!!!! Um, I'm a Utahn, so I guess not very original! Congrats to Carolyn! She's actually my guest at TBR today, if anyone wants to come over and say hello: http://tbrtheblog.blogspot.com. I'm in central Pennsylvania, where many many writers live as well. I suspect we're hiding everywhere. Charles, so from really hot to really even hotter? Nancy, you are a long ways away! Jay, you would really appreciate that movie. Vic, quite a few from Kansas. Sherry, lots from Ohio as well. Thanks, Suze - and New Mexico! Jo, there are quite a few from Australia. Jen, several of you are in Georgia. Cate, the writers need to come out! I loved the Raid: redemption. I was exhausted after watching it. non stop action. I saw Lawless over the weekend with my manlyman. It's pretty decent. I personally found the ending funny even thought it was serious. The movie has a lot of serious in it and the actors did a good job holding their own. Indonesia made some crazy horror films back in the 1970s and 80s. Look them up if you get a chance! I'm loving Charity's cover! This is the first time I've seen it. Purty! The Raid Redemption seems entertaining, strikes me as being of Indonesia. I was born in Pittsburgh and raised in Albany, NY, where I'm living again now. I also lived in the Berkshires for six years. Has the IWSG master list been moved? When I click on the tab for it at the top of the page, there's a message saying the page doesn't exist. I love the cover to Charity's book. I will check out Lee's schedule on the A to Z blog and see if I can come up with a guest post for him that he could work into at some point. Thanks for the heads up. congrats to so many! how do you know? and that movie sounds intense! i'm curious! Though I live in California, I think my heart is in East Tennessee. And yes, I've got my #IWSG post ready to go, but I'm feeling that I'm getting repetitious at times. I guess that sounds insecure in itself. Budd, yes! The action was relentless. Summer, I missed it in theaters but will catch on NetFlix. Now, do you own a cowboy hat? Carrie-Anne, I will go investigate! Michael, I think Tina is the one heading that up. Lee, you might have your next post now! Welcome back! Wow! That was a lot of info. I was born and raised in Virginia but have lived in Maryland the last sixteen years. Jam packed with news as always. You keep my list growing. As to where I crouch writing stories . . . that would be California. Are you six hours away from my state? Welcome back Alex and I'm from Oregon. Welcome back, hope you had a fabulous break, Alex. I'm all the way from the UK. Congrats to all the new releases this week. I'm an East Tennessee fella. Except for the allergies, I love the place. I think I lost my last Netflix disk - that movie wasn't streaming, was it? I'd been wanting to see that movie. And I'm avoiding Looper spoilers until I can get out to see it. It was a rough weekend. Xenon, if you have to know. But I can't tell you where that is or aliens would come and steal your brain. Alex, welcome back! Hope you had fun. Hope we get to hear all about it! Good to have you back, Alex. THE RAID was made before DREDD. When I saw the plot for DREDD, I was disappointed that they had lifted it from THE RAID. The ending of END OF WATCH was a lift from THE RAID as well. Hollywood loves to lift as in ARMAGEDDON and DEEP IMPACT. Off course I missed you! Holidays are necessary to relax and recharge. But holidays are also useful to do thing more intense. Don't let those vacation days go to waste, Alex. HOpe you had a great time. Wow, lots of good news listed here. Congrats to everyone. 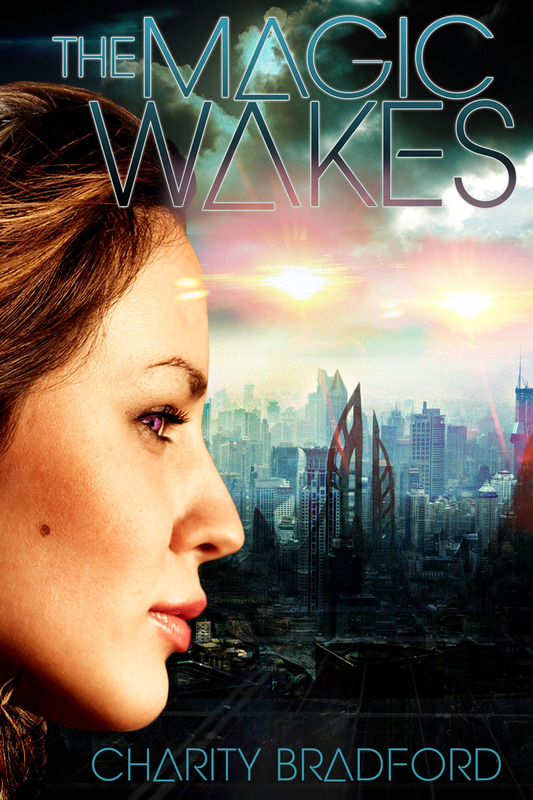 Love that cover for The Magic Wakes. I tweeted about The Last Ride of the James-Younger Gang, added the hashtag #LightonHistory. Haley Whitehall is a big Civil War and history buff and writes Light on History online newsletter and blog. She might be interested in interviewing Sean. Sending a shoutout for all the other SoCal writers! There's a ton of us in this area! I live in the Chicago area :) That move sounds pretty cool though; I'm trying to remember something that was compared to Dredd. It was something I was excited for. Sigh. This will bug me. I hail from the greater Seattle Area, west of the Emerald City actually. Sorry, no falling houses or munchkins in my neck of the woods! I did see Raid in Netflix and thought it looked a lot like Dredd. I only saw a few minutes though, so I couldn't say if it was any good. Can't help with the date thing. Checking out some of the links you shared. Hail from Pennsylvania, the state with the most corrupt state government, I think. Welcome back, you Ninja, you! I currently live in Alaska. Homer, to be exact. I have a t-shirt with Homer Simpson on it and his spit on the ground. Because I live near the Homer Spit, so there is a little arrow that points and labels Homer's Spit. Silly, I know, but all the locals love the shirt. Thanks for all these updates ALex! I live in Los Angeles, CA. If you're ever in the area, let me know. I can be one heck of a tour guide when I put my mind to it. Welcome Back Alex! Hope you had a nice vaca. And I hail from the Jersey Shore, please feel free to fist pump! Rachna, and I've enjoyed it! Sorry, Rusty! No, Raid Redemption isn't streaming yet. Jeff, more of us here than I thought! Lynn, Sean will appreciate that. Maurice, need to go back and watch all of it. Glad you had a good vacation. Everyone needs some down time. I'm late commenting today. Computer woes. Welcome back. I'm originally from Boston. Go Red Sox! (well, maybe next year) Now I live in Ohio. I love a good blog. Will have to check out Ann and Ruth's! there is always so much to take in on your blog posts. Every time I read a post I want to be a real writer, then I forget after I read a few other blogs. I agree, it was better than Dredd. I really liked The Raid. I'm from Houston. Good to see there are a few others from Texas as well! Hope you enjoyed your weekend off. Congrats to everyone who has a new book out. Awesome. Do not know Olivia, sorry Roland and Alex. Oregon is a mecca for writers, too, my state. Thanks much for the shout-out, Alex! Congrats to Charity on the cover reveal! I know what you mean about having an abundance of vacation time. I'm still trying to figure out how to take at least 8 days off before the end of the year, or I'll lose them. Thanks for the heads-up on the new books and movie. The stick and knife fighting sounds good to me, though I've never seen Judge Dredd. I'm from Colorado -- Denver, to be specific. Lot of great news, Alex. Congrats to everybody on their accomplishments. I missed you so much...glad to have ya back! I'm so looking forward to my first IWSG post! It's gonna be exciting! Great Ninja news and thanks! I live in the midwest and the state is near Illinois. Nutschell, I've seen your photos - you would make an awesome tour guide. Jaybird, that made me laugh! PTM, I motivate in small doses, huh? Mary, that's good to know. Anne, you are welcome - the award was well deserved! Cherie, you're not too far away. Take every other Friday off and then the rest around Christmas. Livia, glad you have joined the IWSG! Wow, so much cool news! Congrats to everyone. I'm from Mexico! Well, that's where I live now anyways. I hail from a boring city in South Carolina, where the happening places are a small indoor mall and Hobby Lobby. Fortunately, we are centrally located to some very nice destinations, like Myrtle Beach or Charleston. The life saver is we do rank important enough to have our own Barnes and Nobles. Your posts are always so much fun, by the way. See you Wednesday! I hope you had a good vacation. I need to start writing a post for IWSG! Yikes, time flies! Glad you back from vacation and hopefully I will be back to the blogosphere soon. 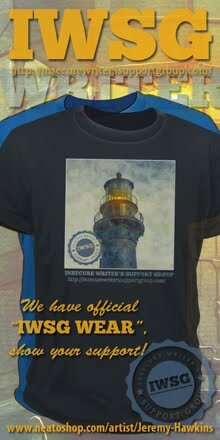 I had hoped to make the IWSG this month, but I don't think so. I could say I'm on permanent vacation since I retired from full time (out of the home work), but I am so busy that I need a vacation from this 'vacation'! So what was the question? Oh yeah, I hail from Georgia. Hey Y'all! I'm actually right on the S. Carolina border. Love it. Clarissa, good to hear from you! Rose, you're not too far from me either. And thank you - I am here to amuse. Hi Melissa! So good to hear from you. Hildie, you're not far from me either. moment grabbed my attention! Congrats on getting away! I have to hop over to Brinda's blog :). Although I knew it was the beginning of the month, I still needed the IWSG reminder. My hubby is looking forward to The Raid. Welcome back! You were sorely missed! Holy list of awesome info! Thank you! In case you hadn't noticed...I'm from New York! No, not the city! Isis, that's why I remind everyone. Heather, I noticed! And good to be back. Welcome back! Hope you got to relax. So many wonderful things going on out there. Wow! I am looking forward to checking everything out soon! Congrats to CM and Charity! Exciting stuff! I'm from Philadelphia. We appear to be woefully short on writers. Nor do I Allison. I too am from Canada. Hope you enjoyed your vacation. I have been so hit or miss lately; I don't even know what your Special Challenge Participant Features is. I will look around your blog and hopefully figure it out. Thanks for all the news and updates. I have an idea for IWSG and I will be ready. It was fantastic reading about the book news and looking at the cool covers. Welcome back! I will be ready for Wednesday...though I still need to think of something. I hail from sunny southern California! I'm out here in the northwest of Washington state living on beautiful Whidbey Island and saying hmmm... there's a list of books to consider! I'm from South Africa... and no, the lions, tigers, leopards, elephants DO NOT roam about freely in the streets! LOL. I didn't noticed that you were vacation. I hope you enjoyed much! Lisa, there's a few of you. Jo, funny! I will check it out. Morgan, or the mountain air. Michelle, Raleigh is the capital! I'm ready for IWSG and am excited to see Charity's book cover for her novel. Very exciting times! Hope you enjoyed your time off, Alex! Headed to Brinda's now. I've been gone a lot lately, too. I hope you had a great vacay. All these great new covers and new releases look awesome. Go C.M. Brown!!! Congrats to Charity. That's a very cool cover. And to Carolyn - I'll be featuring her this week too! Their books sound great! I hail from the south of England and now resident in Scotland. I never met any writers, but from blogging I at least know they exist! I'm amazed how you keep track of everything. Lots of good stuff going on! Welcome back! I don't think you missed anything over your holiday. No Alien invasions, at least, none I was told about. New releases are always great! And, I hail from Wyoming. The Winter Wasteland. Roland should get his own date with Olivia, 'blind dates' or setups never work out well. Congrats to those with books launching! I hail from Calgary, Canada but now live in South Devon UK. As always there's lots of intriguing new publications out that you've highlighted. I like the sound of 'He Came For Mine, Book 2'. Julie, lots of you from Ohio! Ciara, sorry your reasons weren't as fun as mine. Nick, I know there's a few of you there! David! Glad you are on board. Jack, so an alien invasion might've occurred...? I tend to hail from the corner - best place to grab the attention of a cabbie. Such great news today. I'm so happy to hear that Anne R. Allen got that award. It was well deserved. A date with Olivia Wilde... that is the dream! I've been a real slacker about visiting other IWSG bloggers, hopefully I can rectify that this week. I've got something special planned for this month's post, which I'm working on now. Also, I'm originally from Connecticut but I moved to New Jersey abut 7-8 years ago. I live in Northern Colorado, Alex, another state favored by writers. Very interesting Anne R. Allen's blog. Insomniac, can't wait to see your post tomorrow then! Coming at ya from FLA! Glad you reminded me about IWSG tomorrow!! I'm finally going to be brave and show the world how insecure I am. Is there a linky tomorrow? I'm working on my post now. I'm from small town Iowa. I lived in Des Moines while I was in college, but I spent most of my life in towns with fewer than 1,000 people. Pk, there are a lot of you from the sunny state! Tina! Glad you are joining us. You can sign up under the tabbed page above. Hope your vacation was fab, Alex! Congratulations to Carolyn on the release of her new book! It's all so exciting! Of course we missed you, Alex! Great to have you back. Hey! Welcome back. OK, this is how insecure I am. When I didn't see your comments on my blog last week, I thought, "Oh no! Alex doesn't like me anymore! I'm NOTHING in the blogosphere now." I wasn't blogging much myself and missed that you were going on vacation. Florida, but only until I get back to snow country. BTW, the day is tuesday, the time is 20:06 and I'm just checking in to see how much time you allow for insecurity. Yes, it's me, Penny the Jack Russell dog and modest internet star! You were on vacation? Hope it was really nice. I'm always puzzled by humans who ask another human if they are "going anywhere nice?". I've been talking to my human Gary's son and he is going to check out your movie reviews. He goes to loads of movies. Should be interesting what he thinks. Gary said it was good to interact with you and Lee over at his site. Are you ready for the 'A to Z Alphabark Challenge'? Pawsitive and pawesome wishes, Penny! I'm from way south in California. Almost Mexico my busy friend. You are a wealth of information, no wonder you needed a vacation or two. Hope you enjoyed some time off. I don't know how you do it. SoFlo in the house. Tumba la casa! I hail from Oirland, but live in Hawaii. Welcome back A/C. Did you visit D/C? Leigh, I still like you!!!! Kelly, feel free to be insecure from now through tomorrow! And if you like snow, then you are uber cool. Desert, just keeping up with my friends! Mark, if I had, then it would've rocked! looking forward to your Looper review and I hail from Maine where Summer is way too short. Welcome back :) I get a week's vacation all next week. I'm not going anywhere - except a little extra time to tour the blogs. My IWSG post is fighting me all the way. Oh, and I'm from northern California. Gorgeous covers! I am from Southern California...woot woot! I was starting to wonder about the Utah thing. What's that about? Maybe I should move to Utah. I'm from Indiana, but currently I live in Virginia. I'm from Jamaica. The Raid Redemption sounds great and I'm always looking for a great giveaway. Charity's book cover is sick! Awesome cover and congrats on your book coming out in 2013 Charity. I want to see Looper so bad!! Wow. Great post! I'll definitely be checking out Ruth Allen's blog, that's good info. to have, so thanks for the link! Lots of awesome books coming out. I am actually from GA right now (six years here) but I will always consider myself a PA girl, as I lived in the suburbs of Philly for about twenty years. I miss it!! This is hilarious since I was JUST telling my friend the other day that it seems like an astonishingly large number of authors live in Utah! I'm reppin' Minnesota. Yah, you betcha'. Callie and TL, there are a lot of writers there. Scary, huh? Sean McLachlan’s book and "He Came for Mine" both sound awesome. Congrats to the authors!